I had the pleasure of shooting Daly Digs Week 6 One Room Challenge! The Daly Digs motto is Style & Inspire...I say, check and check! 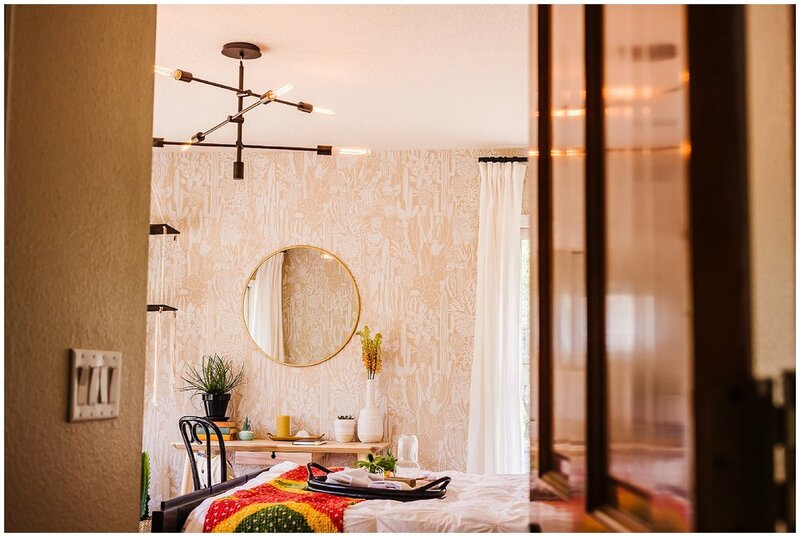 Becky rocked some BoHo style with this guest bedroom. Just check out that wallpaper! The soft neutrals are really brought together with these great pops of color accents. I love the idea of having some goodies awaiting my guests- what a perfect hospitable gesture! The tablescapes have so much character, and shooting with such a talented stylist was easy. I even got the gorgeous artist herself in some shots! Get inspired with more style at dalydigs.com.